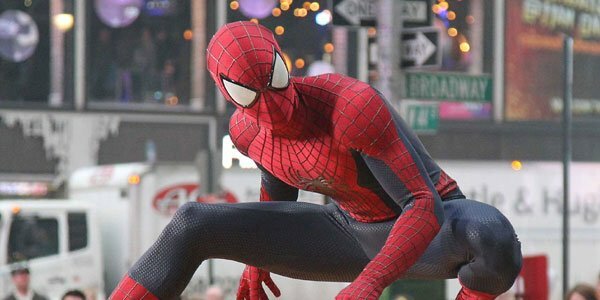 Between both the Sam Raimi and Marc Webb movies, audiences have seen multiple interpretations of Spider-Man's famed red and blue suit. Given how popular some of those designs were, it should be a certain challenge for Marvel Studios to come up with an equally satisfying look now that the hero is coming to the Marvel Cinematic Universe. But evidently it's a challenge that the company is ready to take head-on, as they have actually already have selected a new costume for the webslinger. I was more involved in the Raimi ones, and think they did a very good job. But that being said, we’ve already designed the costume, which is different than any of the ones that have come before. And yet ours is classic Spidey, as I think you’ll see. To get back to my original point, Marvel does have its work cut out for it both topping and standing out from the costumes seen in past Spider-Man films. The design from both the Raimi trilogy (seen above) and The Amazing Spider-Man 2 (seen below) were wonderful interpretations of the comics, and were heavily appreciated by audiences. That being said, Marvel has not stopped surprising us since they got the ball rolling in 2008, and it will be fascinating to see what direction they wind up going in. It's true that Spider-Man won't be getting his own solo movie in the MCU until 2017, but this costume design that Kevin Feige is discussing is probably coming out of the pre-production for Captain America: Civil War - which has been named as the Marvel project that will introduce a brand new version of the wall-crawler. That being said, the company has not yet named the actor who will be filling this new suit, so presumably they made the design with a certain body-type in mind that will be reflected in the casting selection. It also makes sense that Marvel would already have a fully designed Spider-Man costume ready because the Peter Parker we meet in the MCU will not be going through another origin story when he is brought into the larger Marvel world. 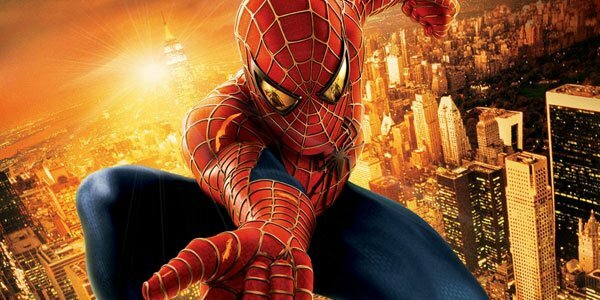 Kevin Feige makes this very clear in the Crave Online interview noting that we've already seen two Spidey origins in the last 13 years and that Marvel is "going to take it for granted that people know that, and the specifics." Surely there will be a lot of Amazing Spider-Man critics who will applaud this decision. The next few months will surely be filled with a great deal of speculation regarding who will be playing the high school-aged Peter Parker in Captain America: Civil War and the 2017 Spider-Man movie, but it's nice to have these clues about the directions that Marvel is going in.